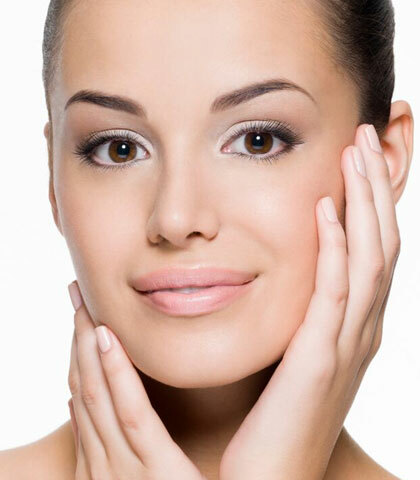 Facelift is the gold standard of facial rejuvenation surgery. An expertly performed facelift procedure will correct loose, sagging skin and folds in the mid-to-lower face and neck for an allover fresher and more attractive appearance. After facelift, you will look like you just came back from an enjoyable, relaxing vacation. You should only trust facelift to a qualified and experienced surgeon whose results demonstrate an eye for balance and proportion. Dr. Abdullah is a highly sought after facelift surgeon because of his ability to revitalize the facial skin and features while allowing his patients to retain the characteristics that make them uniquely beautiful. You may be a suitable facelift candidate if you are bothered by visible signs of aging, sun exposure, gravity and the stresses of daily life. Dr. Abdullah will meet with you to discuss facelift in more detail, perform a physical examination of your face and discuss your medical history. He will verify that you are in good health and will inquire about your expectations of surgery to assess whether they are reasonable and realistic. If he determines that facelift is an appropriate solution to your needs, Dr. Abdullah will draft a treatment plan that addresses your specific goals. In some cases, he may suggest an alternative procedure that is better suited to your concerns. Facelift is performed on an outpatient basis, so you will be able to return home that day. Anesthesia will be administered during surgery for your comfort. You will sleep through your procedure and won’t have any recollection of it afterward. Your facelift will be customized to suit your cosmetic concerns and overall goals of surgery; Dr. Abdullah will vary his technique to deliver the requested results. Depending on your customized treatment plan, he may combine facelift with another rejuvenation procedure, such as browlift or eyelid surgery, or administer facial injectable treatment. Generally, Dr. Abdullah begins facelift surgery by making incisions on the scalp in the temple area, in front of the ears and extending around and behind the ears. The position of the incisions ensures that any scarring will be hidden within the hair and in the natural creases of the skin. Through the incisions, he will reposition or tighten the deeper facial tissues, and remove or add volume for a more youthful facial contour. Dr. Abdullah will remove excess skin and re-drape the remaining skin more tightly over the facial structures and neck to smooth out wrinkles and creases. When he’s finished making the surgical modifications, Dr. Abdullah closes the incisions with sutures and places surgical dressings. Dr. Abdullah will provide detailed aftercare instructions for incision care, pain control and follow-up appointments. He will also provide contact information in case you need to speak with him. During your recovery, you should rest and relax at home, drink plenty of fluids and eat light meals. You should arrange for someone to stay with you the first night after surgery, as you may feel groggy from the anesthesia. Your face will look bruised and swollen, but these side effects will gradually subside. After a few weeks, you’ll be able to cover any residual bruising with makeup. When you feel ready, short walks are encouraged to promote proper circulation. However, avoid bending, lifting and straining during your initial recovery. Everyone heals at a different pace, and it’s crucial to listen to your body and not push yourself to return to physical activity before you are ready. Dr. Abdullah will advise when you can return to your everyday routine. In general, facelift patients take about two weeks to recover.